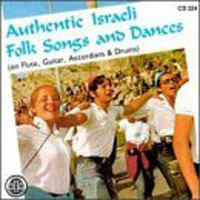 This page contains a translation into English of the lyrics to the Israeli song "Mayim Mayim", which is often used for a popular folk dance. Also included is a transliteration of the Hebrew lyrics into the Roman alphabet so you can sing along if you like. This song is sometimes referred to as "U'Shavtem Mayim", "Ushavtem Mayim", or just "Mayim". The lyrics were inspired by Bible verse Isaiah 12:3 "With joy you shall draw water from the springs of salvation." Else Dublin choreographed a folk dance to this song 1937 to celebrate the discovery of water in the desert after a seven-year search. This circle dance remains popular today among international folk dance clubs. Mimaynai hayeshu'a fountain of deliverance.